The Centers for Medicare and Medicaid Services reports that from 2002 to 2012, per person personal health care spending for the 65 and older population was $18,988, over five times higher than spending per child ($3,552) and approximately three times the spending per working-age person ($6,632). The elderly only make up approximately 14 percent of the population but represent more than one third of the nation’s healthcare costs; one of the factors behind this disparity may be that families tend to resort to costly medical interventions to extend older family members’ lives as they age. According to American Academy of Hospice and Palliative Medicine chief medical officer Dr. Joseph Rotella, this figure may be influenced by families not having a thoughtful conversation about what the patient wants. “The public and the people we care for want to have a say in their care. Many families have had the experience of a loved one who was on life support, where the family has to make painful decisions,” he said. The best way to avoid this worst-case scenario? Tackle the difficult conversation of your loved one’s end-of-life wishes well in advance. “The only thing that can make it easier is if they know what the patient would have wanted,” Rotella said. While there is no easy way to broach the subject of a loved one’s end of life care, including a physician in these conversations can be very helpful. Hospice or palliative care doctors and nurses can provide valuable insight into what patients and their families can expect under various scenarios, which can help your loved one make informed decisions about their wishes. A doctor’s care planning visit can cost around $85 for a 16-30 minute session, but physicians have been able to bill Medicare’s Physician Fee Schedule since 2016 to cover the cost. While having a discussion between you, your loved one, and a healthcare professional is arguably the most important step for advance care planning, all of that conversation must also be recorded in a legal document called an advance healthcare directive to be helpful. Consumers will want to focus specifically on drafting one type of advance healthcare directive called a living will, which dictates what a patient wants in terms of medical care if they are no longer able to speak for themselves in the future. This can address scenarios such as the use of dialysis or breathing machines, resuscitation orders, or organ and tissue donations if the patient passes away. 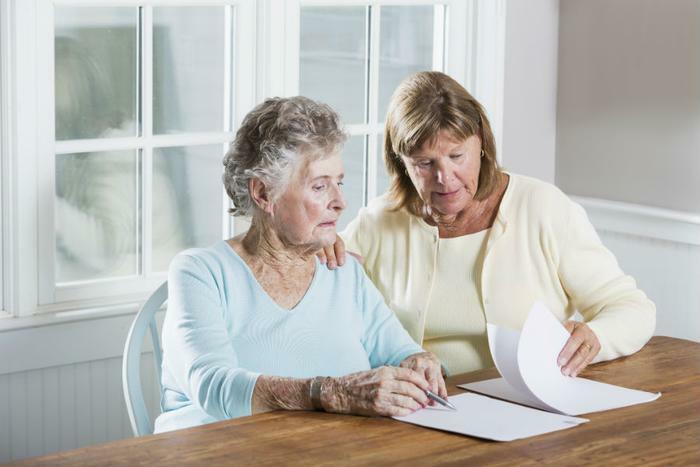 Another type of advance directive called a Durable Power of Attorney for Health Care Decisions is also important because it authorizes a surrogate to speak on the patient’s behalf if they are unable to speak for themselves. You can learn more about advance healthcare directives by visiting this government site here. While advance care planning is especially important for older individuals or those with a chronic disease, experts say these decisions aren’t reserved just for the old or infirm. For more information on advance care planning, you visit the Center for Disease Control and Prevention’s (CDC) page here.